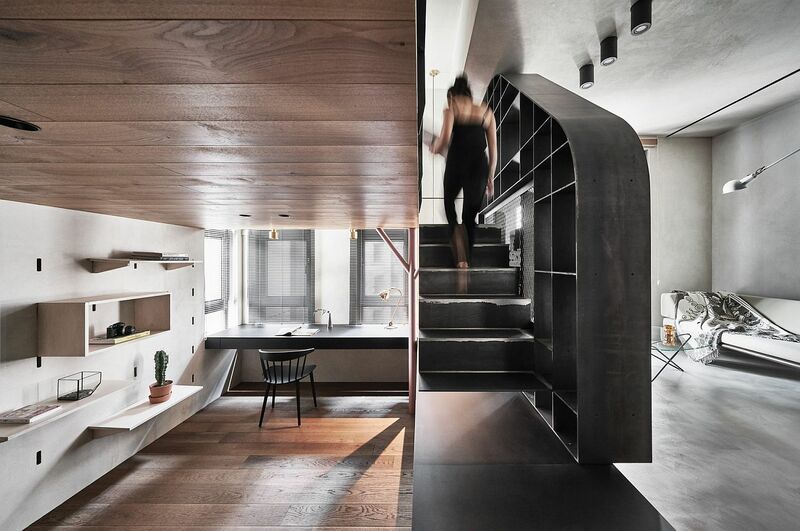 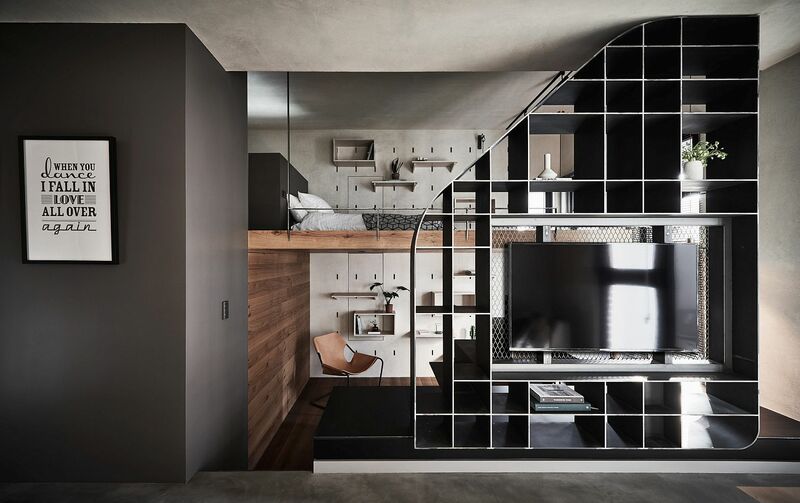 Tiny Apartment with Loft Level and Adaptable Wall Makes a Big Impact! 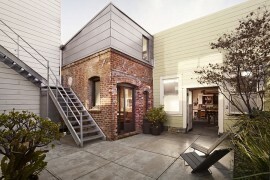 The quest for the perfect home means different things for each of us. 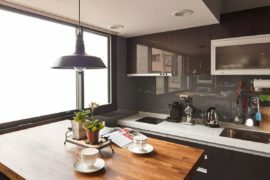 Some of us are constantly looking for ways in which we can improve our rented homes without altering it drastically while others are searching for new ways in which they can bring seasonal flavor to their exquisite residence. 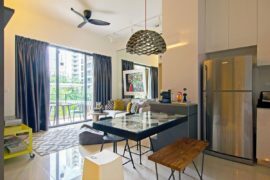 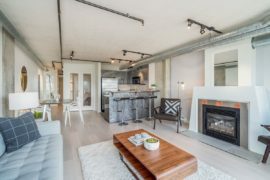 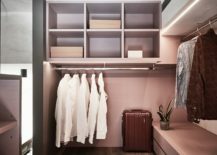 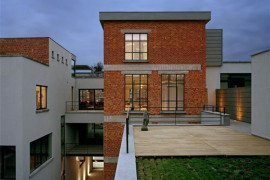 But the most common conundrum when it comes to urban apartment design is undoubtedly one that involves maximization of space. 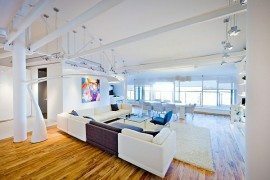 To put it more plainly, all of us living in cities want to make the most of our limited apartments. 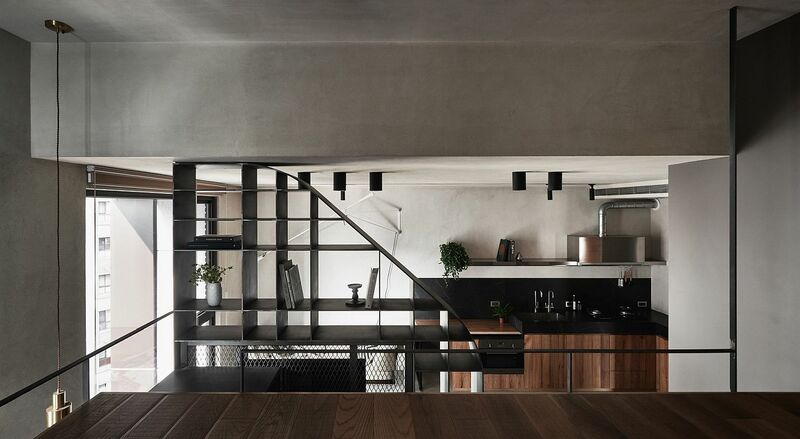 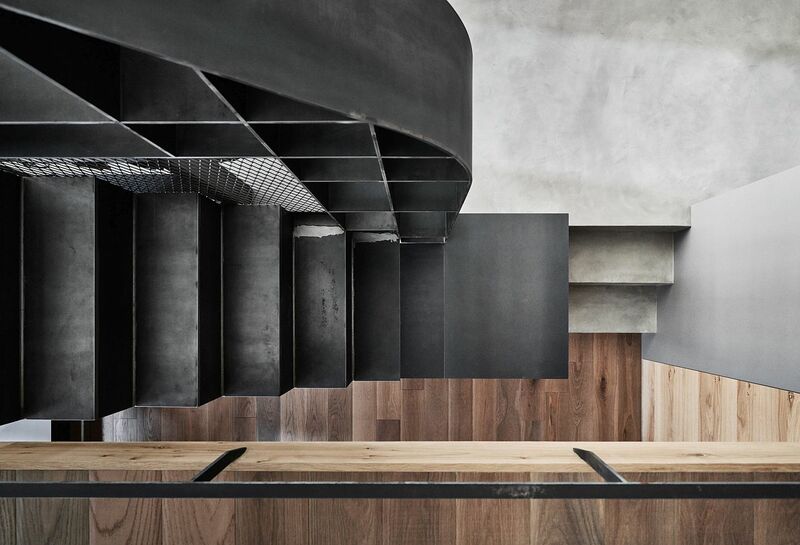 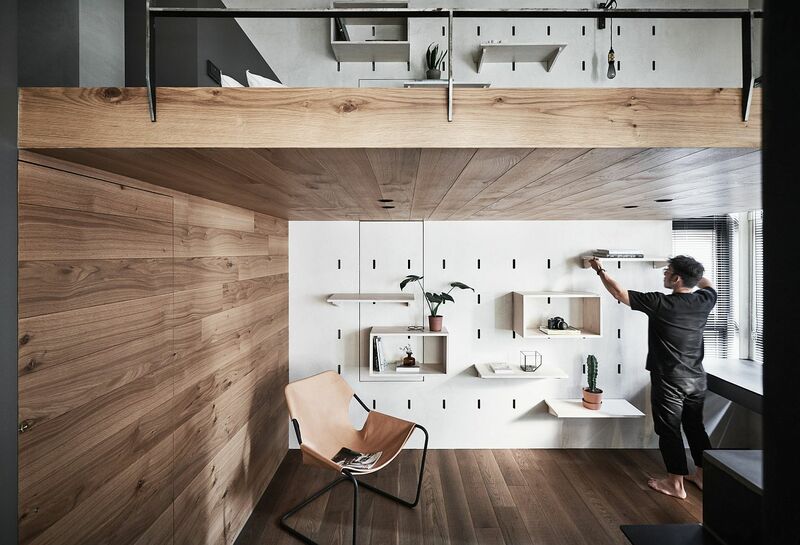 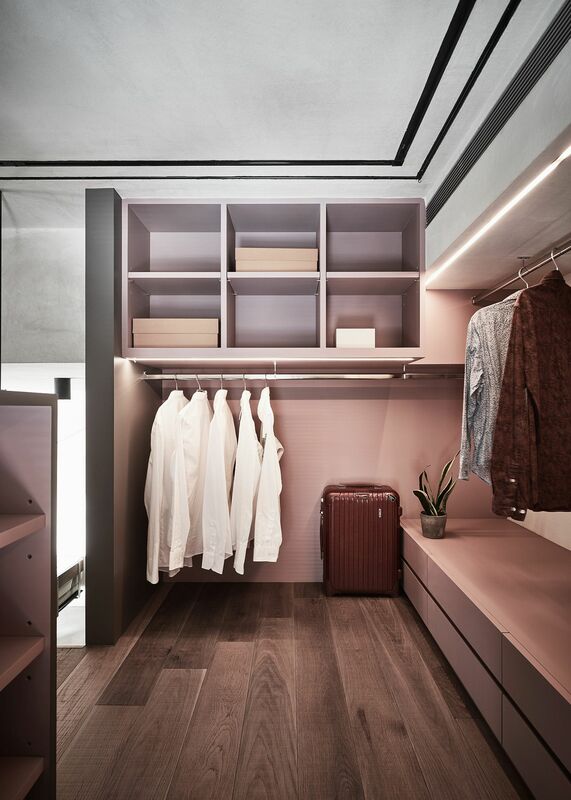 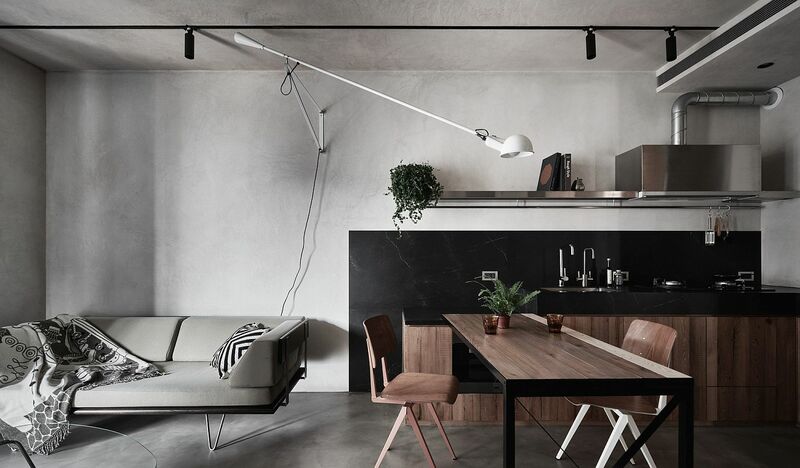 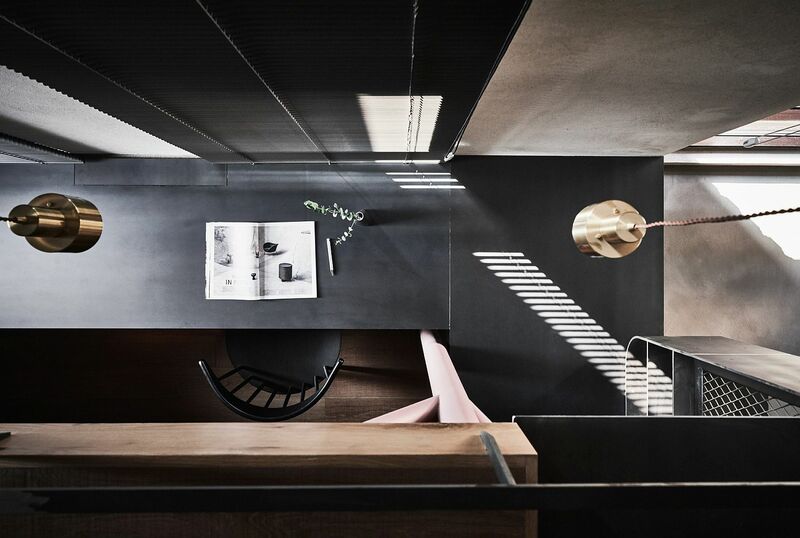 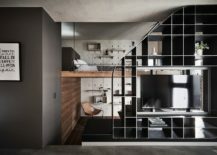 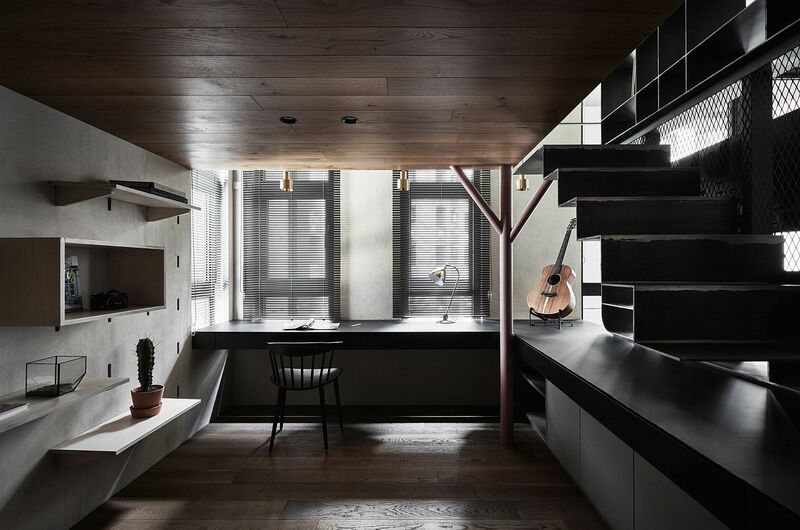 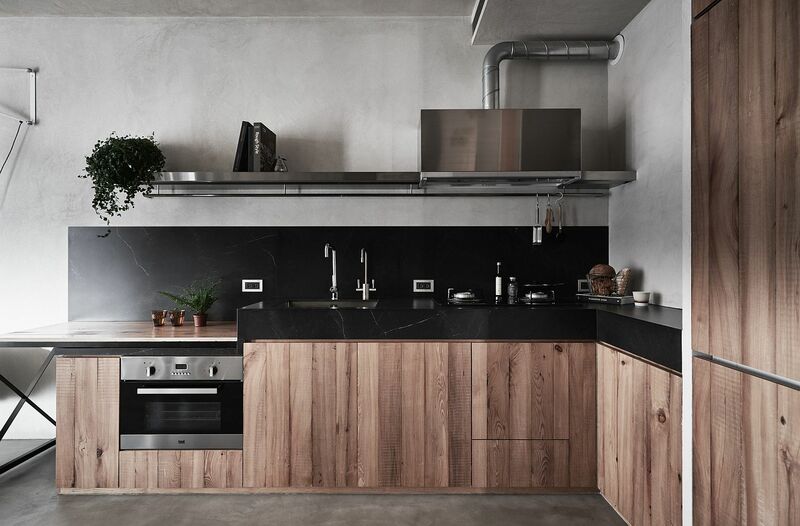 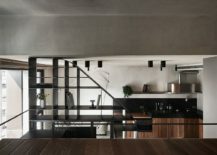 Nestled in a busy neighborhood of Taipei, Apartment X was designed by KC Design Studio with an intention of completely utilizing the vertical space on offer. 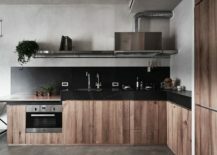 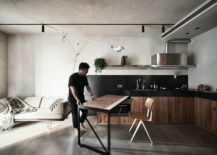 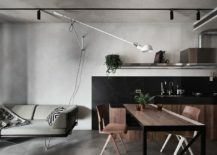 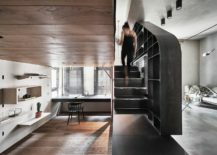 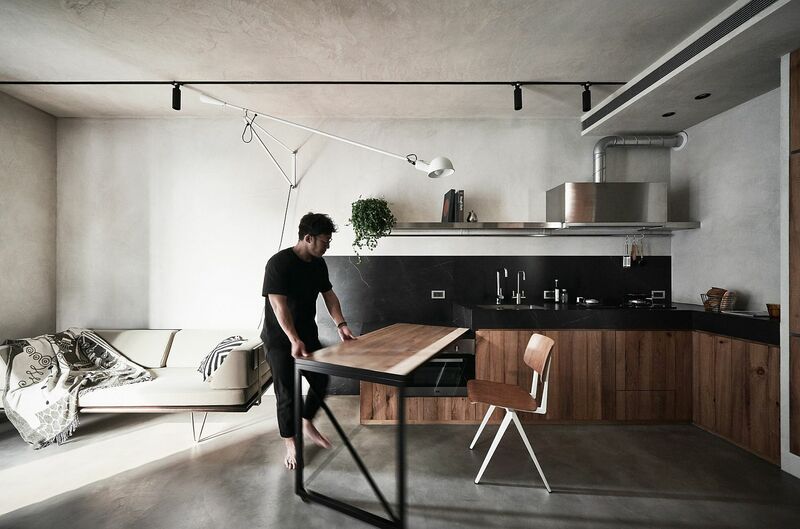 With the small apartment boasting of only 40 square meters of space, the architects turned to a loft level to create more square footage without cluttering the interior. 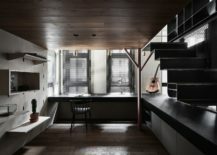 It is the bedroom and closet area that occupy the lovely loft level that overlooks the living area below. 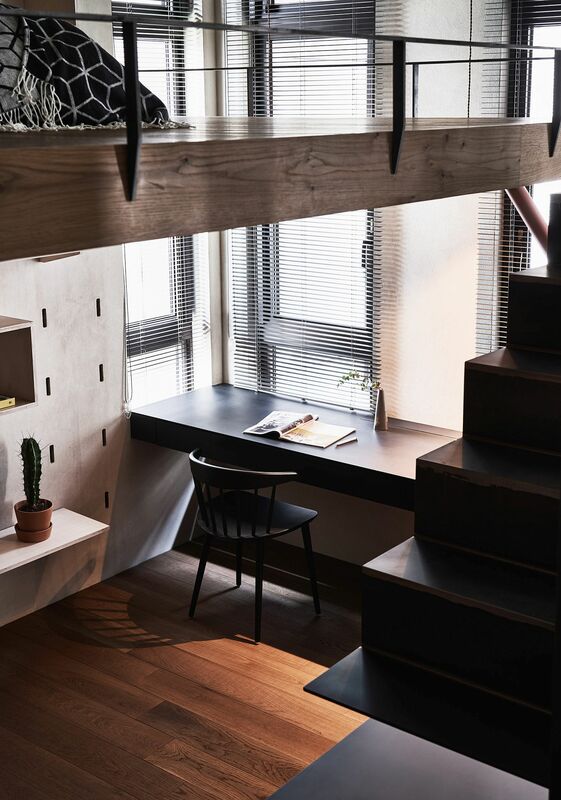 Sitting right underneath the loft is the study and home office and it was placed there since the necessity to stand up in this area is limited! 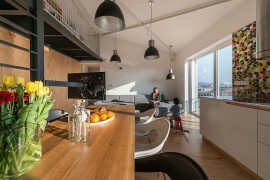 The living area is small and finds itself next to the more spacious and functional kitchen and dining zone. 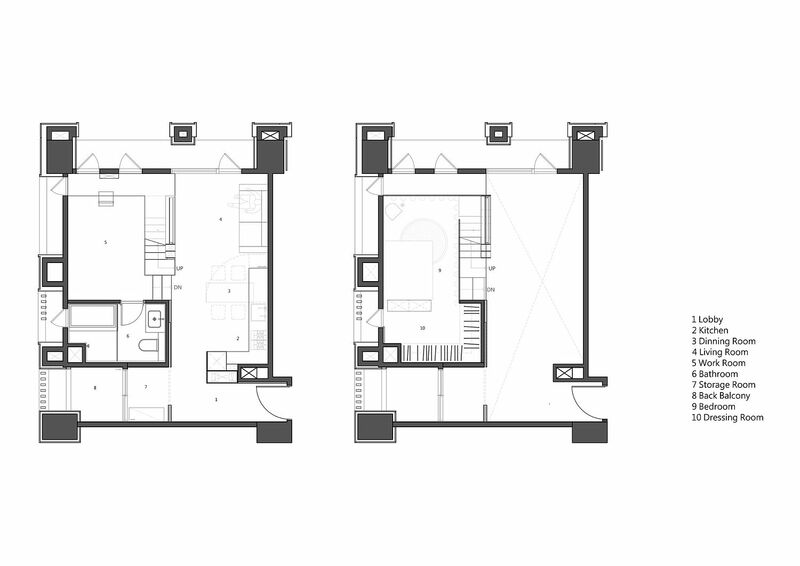 Demarcations between each area are vague with one flowing into the next. 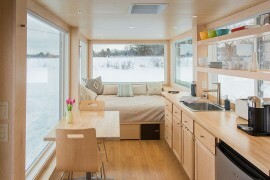 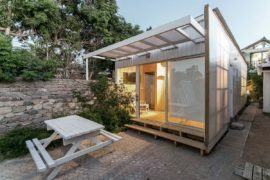 Cost-Effective Tiny Cabin in Wood and Polycarbonate Panel Makes an Impact!